After celebrating a walk off grand slam to beat the Mariners 5-1, Kendry morales dove into his team mates waiting at home plate and suffered a broken leg on Saturday afternoon at Angel Stadium, and is scheduled to undergo leg surgery on Sunday. "It'll change the way we celebrate," Angels manager Mike Scioscia said. "It sure was exciting, but you always wonder if it's an accident waiting to happen. This is definitely unfortunate. We've just got to wait and see what we're dealing with. We'll know more information as the night moves on." "It's definitely not the mood we would expect in the clubhouse after a win, but when something like that happens, it's definitely disturbing," he said. "These guys all feel bad about what happened, but you've got to pick up the pieces and get ready to play tomorrow. It's a lesson for all of us." Tune into Angels on Air tomorrow at 11:30 AM for all of the breaking details on AM 830, KLAA. When you move, there are enough costs and variables to become a real headache. Do yourself a huge favor and get your moving boxes all at once from a great supplier, upack.com. This site provides boxes at a great price not far from home to let you get to the packing process and get through your move easier. Getting your boxes will get your move started on the right truck without breaking your entire moving budget. Pick up your moving box supplies today. Recorded May 23rd, 2010 on AM 830 from Anaheim, California. Though I had been finished for months, I'm glad to have seen my classmates get their diplomas and find my envelope filled with pizza coupons instead. Happy Graduation to everyone and best wishes! Today’s Market Minute: Inverse stocks, bearish futures, and predicting tomorrow’s newsletter. Sign up for a free 4 week market newsletter here! If financial burdens are weighing on you, get Debt Help today. Consolidate what you owe and emerge from the strains and stresses of being burdened with debt. Seek help today and reduce your payments. Learn along with me everyday by subscribing to this podcast. 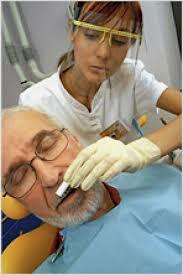 You can get your dental check up while you are dazed or asleep. Another free song download from DHX studios. Here's a brand new fresh recording for a reflective or meditative mood, or just to help carry a moment of rest in a busy day. Summer Special Any album emailed to you in a .zip file of each of my albums for $2 each, or all four albums for only $5! Album download shipped right to your email within 24 hours of Paypal notification in .zip format. Danny Hauger is a full service music provider and independent artist that has toured California since 2000. Danny offers original compositions, song concept development, and instrumental production beds for commercial use. Booking Danny Hauger at your event is simple. Guitar and vocals provided for acoustic settings or background ambiance, equipment required for larger venues. Cover library includes popular music from the 1960's to today. $100 to $500 depending on event. 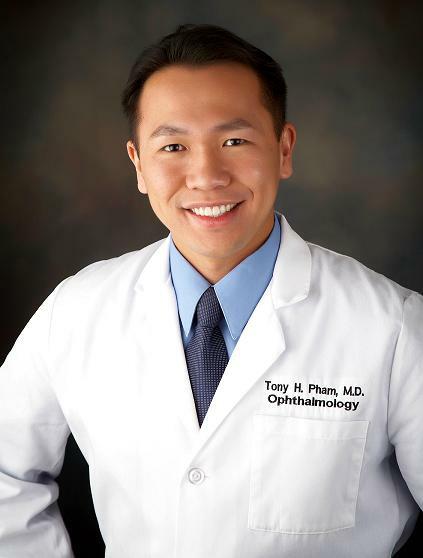 Dr. Tony Pham, of the Orange County LASIK institute. I have been wearing glasses since the second grade. For 16 years I have reached for a pair of lenses each morning before beginning my day. Each year my vision has declined and I have become more dependent on my glasses. Staying sidelined from adventure in favor of protecting the expensive glasses and lenses caused me to avoid activity that would damage my glasses. There came a point when I became curious about the potential benefits of having a LASIK procedure to free me from glasses and correct my nearsighted vision and astigmatism. Being fairly sensitive about my eyes, I spent a great deal of time learning about the procedure and the offices providing LASIK in the Orange County area of California. After visiting a few websites I found a mission statement that resonated with what I was looking for: "At the Orange County Eye and LASIK Institute, we treat you like family. We understand the honor it is to care for your vision and your eyes. Our practice is not a factory.” I saw that they offered a free consultation and signed up for more information and to test my desire to undergo LASIK. 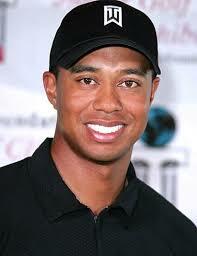 I could not have been more impressed and comfortable with the staff at the Orange County LASIK Institute. Dr. Pham was personally evaluating me and found me to be a good candidate for LASIK and walked me through the steps of the procedure, reassuring me of the painless and quick operation. I was made to feel like family. My apprehension about LASIK was reduced after the answers and information provided by Dr. Pham. His philosophy to test each patient three times, and operate once, was a tribute to the quality of care that Dr. Pham values for every one of his patients. I went for a second opinion and comparison at another Southern California laser eye center, and was completely underwhelmed by the facilities, staff, and mechanical treatment I received. I knew then that is I was to have LASIK, it had to be from a respected Ophthalmologist, and felt that Dr. Pham actually cared about my individual vision plan that provides custom eye mapping and LASIK. I plan on documenting my LASIK progress as I go to help people who may be on the fence about having LASIK themselves. If someone as nervous and reliant on glasses as myself can undergo the procedure, I hope it will motivate others to do the same. Follow my journey with the Orange County LASIK Institute as I schedule my second appointment in June of 2010. This classic podcast features a two year old episode of Titan Talk with John Lam and Danny Hauger. Enjoy one of my favorite episodes of Titan Talk. A short bit of advice for recent graduates, called for by Associated Content.com Best wishes everyone. Anyone that runs their own public computer system knows the importance of having a keystroke recorder to protect their investment. The internet is open to hackers, viruses, and malware that become opened when public computers are used improperly. Protect your investment by securing your computer to run only business programming and monitor its performance over time to ensure value of your computers. Keep your systems secure and in tact by visiting NetBus.org today. Dallas Braden of the Oakland Athletics pitched a perfect game (number nineteen all time among MLB players) on Sunday, May 9th in the greatest outing of his career. Congrats to Dallas for his long trip with me in Stockton for the Ports to hugging his mother on Mother's Day following his perfect game!